Meet Dr. Lino Suarez: Cosmetic Dentist of Coral Gables talks about the importance of quality dentistry and its impact on your overall health and future. The journey toward true health and a smile that allows your personality to shine can be made easy and simple with the proper information and team helping you. We know that you are unique, like no other person in the world. As such, our focus is on building a trusting relationship and listening to what you really want to have. 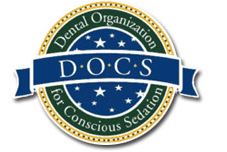 As a Dentist in Coral Gables, FL our ultimate mission is to make you smile. If you have been dreaming of creating a new smile through cosmetic dentistry or just keeping the one you have in the best condition possible our dedicated team is here to help make that possible. We offer all the latest techniques in cosmetic dentistry, making sure that your health is put first. If you are looking for a place to treat a smile issue and have continued care for yourself we can help. Take a few minutes to browse our site and see if you feel we could be of help for you. If you are looking to find a dentist in the Coral Gables, FL area or have any questions please feel free to contact us. We welcome the opportunity to assist you in any way we can. Giving you the Smile You Want! radiant smile you've always wanted with low monthly payment plans. Our patients share their testimonials and life changing results!